Description: A free customizable be a good teacher brainstorming template is provided to download and print. 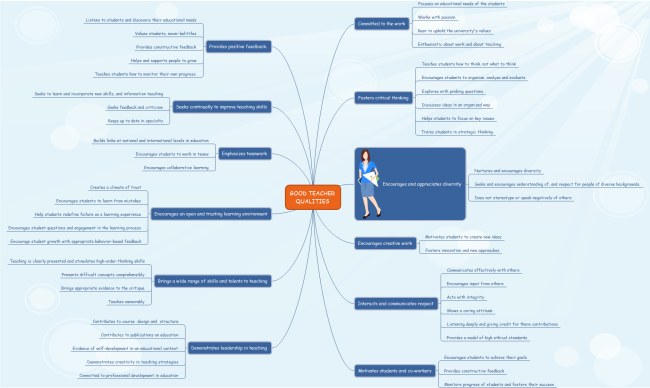 Quickly get a head-start when creating your own brainstorming map. Qualities of a good teacher have been listed in it, which are quite inspiring for teachers. And you can add more as you need. Upload and share your great brainstorming diagrams with others on our sharing community!You can also download and edit any existing brainstorming template for personal and commercial use.